I'm not always a morning person if I'm being honest. I struggle during the week to get out of bed on time but on a weekend I conveniently wake very early. I wish I was more of a morning person as I like to be productive and hate wasting the day (even though lying in on a weekend is sometimes just what you need). I am trying to become more of a morning person during the week; starting with trying to go to the gym in the morning rather than the evenings (let's see how this goes shall we). Anyway today I'm sharing with you my winter morning routine. As soon as the dreaded phone alarm goes off I check my phone. Yes it's an unhealthy habit but it's got to be done! I usually let myself wake up for 10-15 minutes before doing my teeth and washing my face. As part of my morning routine I like to use my BodyShop Camomile Silky Cleansing Oil before using my Simple toner. My favourite moisturiser is my L'Oreal Hydra Gel (see my review here), it makes my skin feel soft and soothes my skin. I like to shower on a morning so usually do this next and then get changed into my work clothes. I like to sit in bed with a cup of tea and a glass of water whilst putting my make up on and watch a bit of Youtube too. Recently I've been blasting the Christmas songs to get me out of bed - my favourite at the moment is Step into Christmas by Elton John!! Once I'm ready I leave for work about half an hour before I start and I usually eat breakfast when I arrive so it gives me more time in bed snoozing my alarm! I've been loving having Fruit Toast for breakfast during the cold months! 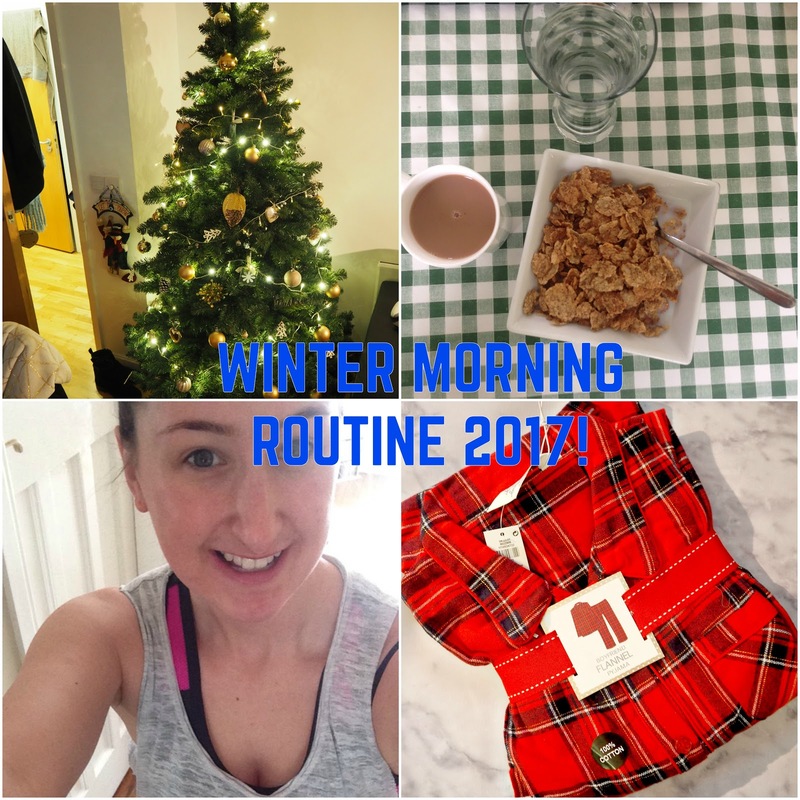 What does your winter morning routine look like!? Let me know below. Do you have any skincare recommendations?